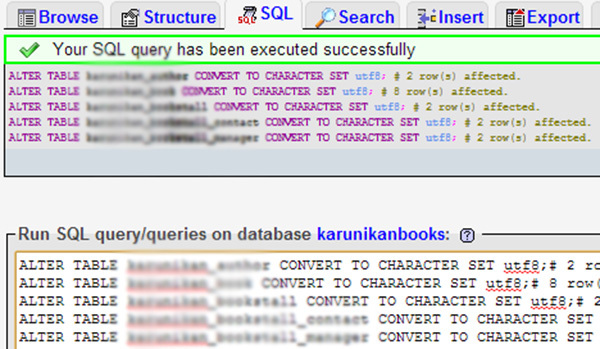 You can use the ALTER TABLE/DATABASE SQL statements to convert your data. To set the default character set for a database, use the following statement. This does not affect any existing tables, but any future tables created in this database will use utf8 by default. For each table you want to convert to utf8, use the following statement. This will automatically convert all text columns to utf8. Sometimes when editing .php files you will make a mistake and end up breaking your theme or sometimes you might upload a theme that is old and out of date or is just too problematic and it needs to be switched back to the twenty ten default theme. Some times the following error may occur. Here is an easy way to switch to the twenty ten default theme using PHPMyAdmin. Go into your cPanel and look for the Databases section and click on the phpmyadmin link. Select the database where your WordPress is stored. Select the ‘wp_options’ table from the menu on the left. First you need to access your .htaccess file through cPanel by clicking on the File Manager. 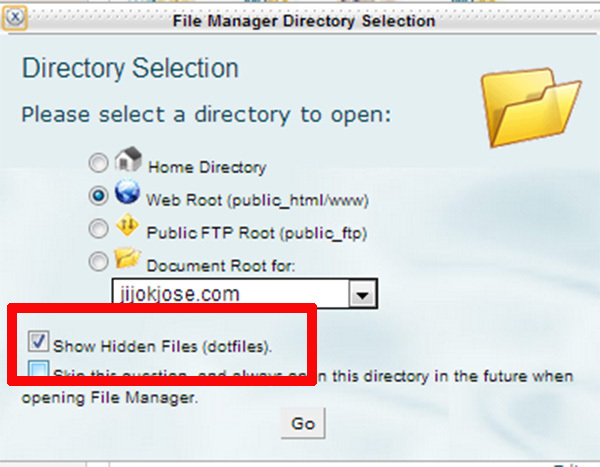 When the popup box appears, click on the Web Root option and make sure that the “Show hidden files” option is checked.